Heading for the beach? Be sure to take along some classic beach reading: Chapter Three of our Teaching Evolution in a Creation Nation! The National Center for Science Education has posted an excerpt from our book on its website. I hope this brings in some new readers. Now all you cheapskates out there can get a taste of our book without plunking down twenty bucks to read the whole thing. In this chapter, I make my case that the crucial period in our twentieth-century battles over creationism and evolution education was not the 1920s with its Scopes Trial, or the 1960s with its flood of young-earth creationist activism. Rather, if we really want to understand the creation/evolution debate, we have to understand what happened on both sides between 1930 and 1960, when the battle moved out of the headlines. At least, that’s the argument I try to make in this chapter. It’s no surprise to SAGLRROILYBYGTH, but I firmly believe that both sides in our current creation/evolution debate will benefit from understanding a little bit more about each other and about the history of their disagreement. And now, thanks to the National Center for Science Education, maybe a few more science geeks and teachers will check out our book. I’m delighted to report that we’ve got some blurbs up for our new book, Teaching Evolution in a Creation Nation. I’m thrilled to see such great recommendations from two people who know the most about America’s evolution/creation debate. First, some background. As SAGLRROILYBYGTH are well aware, I have a new book coming out in February, co-authored with philosopher Harvey Siegel. In this book, we discuss the history of America’s modern evolution/creation debates. We also explore the philosophical issues involved with teaching evolution and creationism. Finally, we offer a recommendation or two for teaching evolution in a way that is scientifically credible and culturally sensitive. Thanks to the work of our publisher, University of Chicago Press, we now have blurbs from Glenn Branch of the National Center for Science Education and Ronald Numbers of the University of Wisconsin–Madison. You may know Branch’s work on the Science League of America blog. Or you may have read his book Not in Our Classrooms. In any case, nobody has a better sense of the issues involved in today’s evolution/creation debates than does Glenn Branch. And nobody knows the history better than Professor Numbers. I’m biased, of course, because Ron was my grad-school mentor and he continues to be my friend and role model. But you can ask anyone: Ron’s book The Creationists is the first and last word on the subject. How do conservatives feel about climate-change curriculum for public schools? The only good climate-change curriculum, they might say, is a dead climate-change curriculum. Varney was reacting to a new set of climate-change lesson plans made available by the EPA. Bad enough, Varney exclaimed, that such pernicious ideas had penetrated public education. But even worse was the fact that such notions had been peddled by a bloated tentacle of the federal octopus. What can this sort of school jeremiad tell us about conservatism and American schooling? I have two comments and I invite others. First, we can see from this brief clip how climate change stands poised to become the new contentious science issue in America’s schools. Conservative traditions of opposition to evolution education seem to be retooling for an eerily similar fight over the science of climate change. Science-education activists such as those in the National Center for Science Education have warned about this for a while now. Indeed, the NCSE’s Glenn Branch recently called climate change the “second front” in the culture wars over science education. 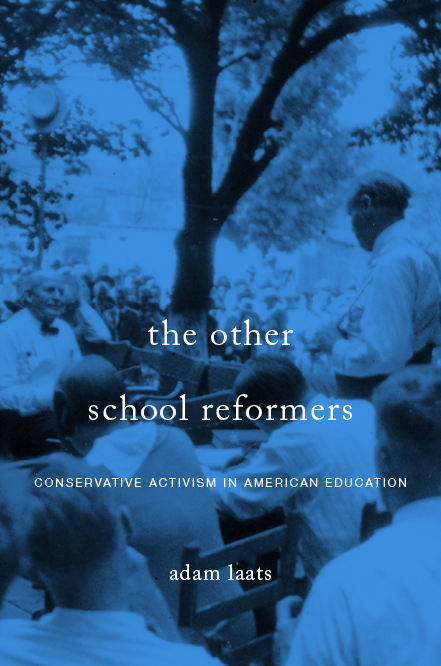 Second, Varney and Crowley offer us a near-perfect demonstration of a long tradition in conservative educational activism. We might call this the “Not In My Kids’ School” (NIMKS) tradition. Just as protesters have often fought against bad influences in their own back yards, so have conservatives often presented cultural issues as a threat to young people. This rhetoric hopes to energize conservatives to fight against educational programs on the threat that such programs will soon be spreading their dangerous tentacles into schools everywhere. Bad ideas are bad enough, the thinking goes. But such notions are far worse, far more menacing, far more likely to mobilize activists, if such ideas can be portrayed as meddling with the minds of innocent young people.